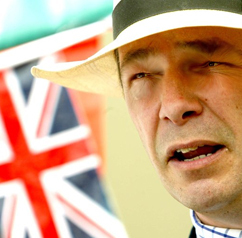 Junius on UKIP: UKIP: While the cat's away! Unbelievable - just like the kind of nonsense UKIPpers came out with when the dictator Gaddafi was threatened. Farage is quite slow to notice the legalised murder of dissenters, adulterers and homosexuals in Iran. Wonder how much he got paid for that article. Wonder if they would behead him for his adultery.